Which provides better surveillance: eyes, or cameras? If you are being bullied at work, a workplace group of eyes can work for you, against you, or make no difference at all. You just have to hope that at least it’s not a work gang or conspiracy that’s targeting you. The same is true for families: The bigger the family, the bigger the odds that there’s someone in it who wants to bully you and to recruit accomplices to boot [you]. On the other hand, the bigger the family, the smaller the likelihood of getting away with it, given so many watching, watchful eyes. The actual outcome and mix of safety and danger depends on the interplay of these two variables. For example, I recall how wonderfully kind and friendly every single one of my 30 or so cousins, aunts and uncles were whenever my nuclear family of three [including me] visited or was visited by them. They came in convoys of cars—arriving, sometimes 20 at a time, sleeping or dangling in any and every available nook, cranny, crevice or position for a rustic New England weekend escape from sweltering Bronx summers. Always and everyone: kind—not a single exception, despite whatever temptation there was to be one. To this day, I thank what I saw as my great luck in having such nice relatives during my childhood “Wonder Years”. However, sociologists and psychologists may argue that luck isn’t all of it. Social dynamics count too—maybe even more. If you find yourself physically in the midst of a group whose norm is “friendly”, as families normally are or are expected to be, given sociobiological “kin selection” theory, anyone contemplating deviating from that norm has a rethink coming, given the numerous potential witnesses and interveners. This “size counts” argument needs to be nuanced a bit. From a purely logical point of view, the more eyes that are watching, the less likely getting away with bullying becomes. 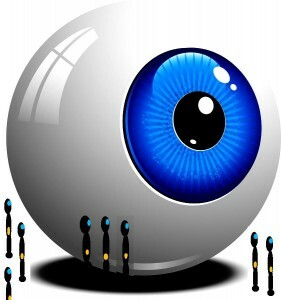 That sounds like bigger companies will provide better eyes-open surveillance. But, it does not follow that “more eyes” indeed means “more eyes watching and caring”. First of all, there is no assurance that, the bigger the group, the more eyes there are that will provide what amounts to surveillance. This should be obvious from a comparison of the degree of privacy and stealth—indeed, total anonymity—afforded by life in a Chicago high-rise complex as compared with closely monitored life in a rural Romanian village populated with large numbers of grandmothers with time on their hands and eyes at the window. The same goes for large organizations—especially very busy ones in which everybody has their eyes as well as nose on and to the grindstone, or computer screen. What matters is not the number of people in a space, but the number watching, looking or even just seeing, preferably with a predisposition to help, rather than hurt. It’s harder for bullies to thrive under surveillance, although the more brazen ones not only love an audience, but also will attempt to bully the whole group if powerful enough to get away with it. Nonetheless, for the average bully, the fewer the witnesses, the better, despite the imbecilic temptation to self-incriminate with YouTube and Facebook postings of their self-surveillance bully-bro’ vidiot videos. —the seemingly paradoxical phenomenon of “crowd anonymity”, illustrated by urban high-rise residential and commercial zone overcrowding and insulated cubicle hiving. This is, in fact, as logical a phenomenon as the pursuit of safe anonymity by an individual penguin jostling its way across an ice floe, toward its crowded center, to reduce its risk of becoming a streaking hungry seal’s lunch. Surveillance is nothing all that new, despite its modern scale. One of the key differences between rural village surveillance and modern Internet and street camera snooping is that now it is harder, if not impossible, to snoop back—unless that’s your job or techno-obsession. Regard villager mutual snooping as the flip side of their mutual altruism. The snoopy or vigilant villager is far more likely to “watch out for you” in both ways—the first as positive intervention as assistance to the bullied, the second as a vigilance and deterrent to the bully. Another key difference between traditional village snooping and the modern hi-tech forms is that retaliation, rather than utter helplessness, was generally a village option most of us no longer have as lone individuals in vast cities or up against equally vast bureaucracies. With the decline of altruistic interventionist watching out for others, and despite an over- compensatory increase in the self-protective and paranoid form of watching out, a safety vacuum has been created and promptly filled by surveillance technology, much as permanent curiosity about neighbors has been displaced by insatiable curiosity about Kim Kardashian and her accessories. Unquestionably and regrettably, celebrity now trumps community—yet another triumph of Gesellschaft [commercialization and commodification] over Gemeinschaft [personal, community-framed social interactions]. With that triumph, comes the retreat or defeat of community feeling and altruistic “watching out for-schaft” and the current stampede to techno-surveillance. Apart from the question of which is winning—group/family-enforced or technology-enforced workplace or street surveillance?, there is the question of which should prevail. On the one hand, having non-stop audio-visual recordings of everything from office plants drying out to a boss bully chewing out the mail boy largely, although not entirely, eliminates “he said-she said” disputes about what allegedly transpired. But, by the same token, techno-surveillance often fails to be as feared as much as it should, mostly because it is either itself not noticed by the perp or is not regarded as being as real as an eye—perhaps because of some kind of hard-wiring of our brains to associate being watched with real, usually paired eyes. Hence, irrespective of organizational, workplace size, it stands to reason that a community of vigilant eyes will, other things being equal, e.g., same access to the observed space and individuals, likely be more effective—both as surveillance and in terms of social cohesion, which, together, are likelier to inhibit a bully who is not as intimidated by surveillance technology as [s]he should be. As for the size factor, if it is true that the smaller the company, the likelier it is that a bully boss will run it, it is also likelier to be the case that the smaller space and greater ease of identifying the bully means more eyes to watch and care, but with a greater risk of being outted as an informer or complainant, and therefore vulnerable to retaliation or further intimidation. In contrast to this, a very large organization may have to resort to techno-surveillance if its workforce resembles an aggregate of unconcerned self-absorbed coworkers more than it resembles a very large cohesive extended family. …but only behind their backs, rather than by covering them.